What do you do when you have a bunch of bananas on the kitchen countertop and they look like they needed to be consumed that very day? Use them in baking! I’ve decided to bake an almost gluten free banana coconut bread with them. I say ‘almost’ because I didn’t have the gluten free baking powder and have to use the normal one. Depending on your preference, I added pine nuts into the batter. I also love to add pecan nuts or walnuts for that extra bit of crunch. :: Combine banana, oil, cinnamon, vanilla, eggs and baking powder into a blender or food processor and blend until creamy. :: Add the coconut flour and chia seeds and mix through. :: Rest for 10 minutes to allow the chia seeds and coconut flour to expand. :: Lightly oil one loaf tin and then line with baking paper. I used the silicon one and didn’t have to do that. :: Spoon batter into the tin. At this stage, you can decorate the bread with flaked coconut or sliced banana before baking. :: Bake for 50 to 55 minutes. Cover the top with foil if it is over browning. I used a bit more time as I find that the centre part remains moist. Timing varies from oven to oven. :: Remove from the oven and allow to cool before turning out the loaf. So I’m not quite used to consuming gluten free products even though I know it’s supposed to be better for our body. I think I need time to appreciate the taste which is a bit different from the usual banana bread that I made. Faith, however, likes it, much to my surprise. Won’t you try it and let me know if it suits your tastebuds? This post came about because I just returned from an event at Active Hive and was treated to a wonderful sight of Chia Seed Pudding. You see, I’m a bit concerned for him because his metabolic age was 57 at a recent body composition analysis at Active Hive and his Visceral Fat Percentage is 14 which is alarming. Thankfully, he was willing to start working out together with his wife using the Minus Calories workout. #sorrynotsponsored. And I thought it was a good start as we take baby steps to gain back our stamina and health. To take a step further, perhaps we could have alternatives to our breakfast? There are really a lot of resources available on the internet with regard to overnight oats so I’m going to be lazy and just post the pictures and links to the ones that I would be trying out because they are so easy to prepare! This one promises to fight the bloat! Must try! This will be made when I need some chai to spice up my life. Because I’m a fan of pecan nuts, so this will be in my menu. I need my daily caffeine fix, so this is welcome. Because blueberries are on offer now, so this makes it to the list as well. I think I shall do the grocery tomorrow and start my overnight oats adventure! School reopens tomorrow. All the best! Have you heard of Ezekiel bread? Ezekiel bread is a type of sprouted grain bread that is prepared using traditional methods of soaking, sprouting and baking that have been in existence for thousands of years. Ezekiel bread is made using sprouted whole grains, legumes and sometimes seeds. It contains no sugar, no preservatives and no artificial ingredients, unlike most other commercial breads. Compared to breads that don’t contain sprouted grains, Ezekiel bread has more protein, fiber, and absorbable vitamins and minerals. It also contains less harmful antinutrients, like phytic acid, and is even less concentrated with gluten. I was more curious than anything when I decided to bake this bread. I mean, look at all these ingredients involved! All good stuff but to turn them into a bread like the picture on that page? I followed the recipe to a tee. Once you have the ingredients ready, it’s pretty much an easy job of adding and mixing them. :: In a flexible, silicon loaf pan combine all dry ingredients, stirring well. Whisk maple syrup, oil and water together in a measuring cup. Add this to the dry ingredients and mix very well until everything is completely soaked and dough becomes very thick (if the dough is too thick to stir, add one or two teaspoons of water until the dough is manageable). Smooth out the top with the back of a spoon. Let sit out on the counter for at least 2 hours, or all day or overnight. To ensure the dough is ready, it should retain its shape even when you pull the sides of the loaf pan away from it it. :: Preheat oven to 350°F / 175°C. :: Place loaf pan in the oven on the middle rack, and bake for 20 minutes. Remove bread from loaf pan, place it upside down directly on the rack and bake for another 30-40 minutes. Bread is done when it sounds hollow when tapped. Let cool completely before slicing (difficult, but important). :: Store bread in a tightly sealed container for up to five days. Freezes well too – slice before freezing for quick and easy toast! This is one slice of the loaf and I was wondering what I did wrongly because it doesn’t look like the one that is shown in the page. I must have misunderstood the ingredients! Something must have gone wrong! The other day I was shopping at the supermarket at I12 and saw packets of Hokkaido milk for sale. My first thought was to use it to bake the Hokkaido Milk Bread and it was weeks later that I got to bake it. This recipe is taken from the video above and it uses the Tang Zhong method which promises a soft bread texture. I used about 250g of the bread dough to make red bean buns since Faith and I love red bean anything. This time round, I used the paste from the can but the next time I bake them, I’ll make sure to make it from scratch. 1. To prepare the tangzhong. In a medium heat pan, combine water and flour mixture until it thickens like a paste. Remove from the heat and let it cool completely. 2. To prepare the dough, sieve the flour and combine with sugar, salt, and yeast in the mixer bowl. In a mixing bowl, beat the egg and add the milk, butter to the egg and whisk to combine. 3. Add the wet ingredients into the flour mixture. Using the dough hook, mix for 1 minute. Add 145g (1/2cup) of the tangzhong and continue to mix until a dough is formed. The texture should be smooth and sticky. Store the remaining amount of TangZhong in the refrigerator for at most 3 days. 4. Cover with clingfilm and leave in a warm place to proof until double the size, about 1 hour. 5. Sprinkle some flour on the counter surface. My dough weighs about 780g and I set aside 250g of the dough for my red bean buns. Divide the remaining dough into 4 equal pieces and use a circular motion to shape them into balls. 7. Place 4 rolls seam side down into an oiled loaf pan. I used a silicon one. 8. Let it rise again until double in shape for another 30 minutes to an hour. 9. Preheat the oven to 180°C. Do an egg wash on the surface of the dough and bake the loaf for about 15-20 minutes in total. When you see that the loaf turns golden brown, cover the bread with foil to prevent over-browning. 10. When the bread is ready, let it cool for 5 minutes and shake it off the pan and place it on the cooling rack. For the red bean buns, I weigh five 50g bread dough and roll them into balls. Thereafter, I divide the can of red bean paste into 5 portions. Each ball of dough is flattened and then the red bean paste is wrapped inside it. Then put it into the muffin pan with the seam side down. Bake the red bean buns together with the Hokkaido Milk Bread for the same amount of time. The Milk Bread is truly soft! Try it when you are free. If you stay in the eastern part of Singapore and are looking for a decent breakfast place, consider this eatery at Frankel Ave – The Swiss Backer. Da man and I stumbled upon this cafe while I was pregnant and craving for a good morning meal. We were are early risers (normally around 5am) and definitely would appreciate cafes that operate early in the day. This, opens at 7.30am. Woohoo! This time round, when we visited The Swiss Backer, we were pleasantly surprised that they have just undergone renovation and I must say, this is an awesome move. The whole place looks brighter with the full glass windows and the service, still as good. There is a corner with kids’ stuff which we used to entertain Faith and I do sense a family-friendly environment. A raised platform space to accommodate big crowd. There is now more selection in terms of food though I still prefer their aromatic bread to their desserts. We did have a good breakfast and I thought this place is worth recommending! We have heard good stuff about Kith so da man and I decided to visit the cafe for ourselves. There are three branches – Robertson Quay, Park Mall and Sentosa Cove – and we chose the first because we saw from a website beautiful pictures of this branch. There is even a play area for kids and Faith would like it! The seemingly ‘big’ play space that we saw from the picture turns out to be just a space outside the shop. The cafe itself is small and cannot accommodate any tables; you can only take your orders. The tables and chairs are found along the corridor and the space outside the shop, giving it an alfresco setting which is nice. Thankfully, the service and coffee were good. The breakfast that we had was okay, not excellent, but all right. I was expecting more but I guess I have pitched my expectations to be a tad high. Come to think of it, maybe I ordered the wrong stuff? Another plus point about Kith is that they open very early – 7am – and perhaps this is the reason why there were so many families around when we reached. It’s a nice place to chill despite the limited seating. We were just wondering what would happen if it rains. Da man’s big breakfast. Not too exciting, I regret to say. Faith got to play for a while. Hello, my friend! This is a family-friendly cafe indeed. There are boxes of toys and books for kids to get busy with. If you are not too concerned about cleanliness, the kids can just play by themselves as you sip a cup of coffee with your pals. For now, it will be this. But I’m already satisfied. 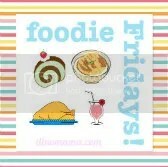 If you are interested in French cooking, why not join us in French Fridays with Dorie?